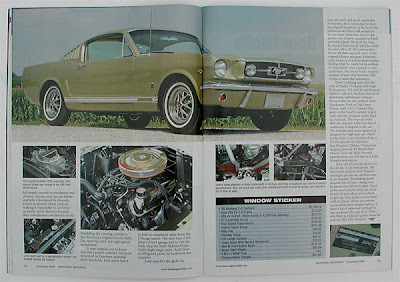 You just have to check out the November 2008 issue of Mustang Monthly Magazine. Our friend, Jim Smart has put together another great article. 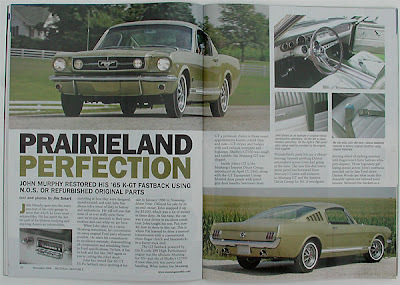 This time the car featured is John Murphy's fantastic '65 Mustang GT "K Code" Fastback. John's Fastback is one of the nicest 289 High Performance Mustangs anywhere!